Students at George Mason University. 1. Identify resources. Find out about your college's resources for academic performance, such as enhanced learning centers and writing centers. See, too, what possibilities are offered for social networking in the African-American programming units, the multicultural center, and Greek life. 2. Immerse yourself in the campus culture. Attend football and basketball games, talent shows, debate clubs, and language groups. 3. Attend class regularly. African-Americans often have to deal with cultural stereotypes. Especially prevalent is the notion that blacks are not serious students. Help to debunk myths about lack of purpose among students of color by attending all the classes. Going to visit a professor during office hours will also demonstrate your focus on academic matters. 4. Find a black faculty mentor. Finding a black faculty mentor can help you deal with problems you might encounter on campus, such as what to do when class discussion (or even a professor) demonstrates insensitivity. A black faculty mentor can also help you understand the purpose and the workings of the university in a broader way and advise you on diversity options such as the African-American studies program, Greek life, and various multicultural student-centered groups. 5. Find a sympathetic black upperclassperson . A more advanced student can talk to you—on a student level—and help you determine what courses are more culturally sensitive, which professors seem more appreciative of diversity, and which sections of required courses (for example, American history) might be more focused on the African-American experience. 6. Find a "cohort." Your peers can become your brother's and sister's keeper. You can develop a sense of camaraderie with peers by taking courses together, doing homework together, forming a discussion group, and even getting together for out-of-class activities. This will not only help you develop better study habits but will provide a sense of security that will stand you in good stead, especially in your required courses. 7. ...but also go outside of the "community." Become more culturally literate and comfortable among various groups of people. For example, if you grew up in a neighborhood that was homogenous, build relationships outside your group—especially at "majority" campuses. And broaden your social networks, too. You'll feel more at ease, and you'll be able to take ownership of your campus—you'll feel it's yours and you belong. 8. Establish and maintain a spiritual network. Worship in ways familiar to you—just as you did back home. 9. Become involved with the African-American studies or Africana program. In these programs, you will not only learn the history of African-American and African diaspora culture, you also will come to understand why the university you attend is the way that it is—why, for example, there's such a disparity in the racial distribution of the students. Understanding this will help you put your college life into some perspective. 10. Locate the black businesses in the town. A visit to the black hairdresser or to clubs with black music will help you feel comfortable in your surroundings at college. Bonus Tip. Build a community. Do research about black organizations at other campuses, then create the ones that your campus lacks. For example, if your college doesn't have a black student organization, create one by petitioning for student funds. A chapter of SAAB (Student African American Brotherhood) could be created fairly easily at most campuses. Also good would be intramural teams and a black students' newsletter—if your college doesn't have these already. Coalesce into a community; be proactive. ©2008, Professors ' Guide LLC. All rights reserved. In my Editor's Note this week, I wrote about the fact that this year's Computerworld IT Salary Survey found that African-American IT workers are just as underrepresented in the profession and just as inequitably compensated as they were last year. But I noted that we have reason to be hopeful that positive change lies ahead. "At the moment the screens flashed the numbers that meant our country had elected its first African-American president, I found myself immersed in a wave of elation that was unlike anything I'd ever experienced. People of all races cried. Strangers of different races hugged and posed for photographs with each other. Inching their way down Broadway, taxi drivers of all colors extended their arms out their windows to slap hands of all colors. People gazed at the streaming news banners for which Times Square is so well known, their thoughts no doubt spinning at the magnitude of what they read." As I noted in that column, "there was an electricity pulsating through the crowd that made New Year's Eve seem sleepy in comparison. No garish ball of lights was dropping. Instead, a virtual ball of hope was rising." president of work management and new business. customers with reliable, affordable service." African American, including 25 percent of the company's executives. course of U.S. technological change." math- or science-related degree and an MBA." http://www.blackengineer.com and click on the link to the Jan. 7 issue. Illinois, or 70 percent of the state's population. For the third year in a row Columbia University in New York City enrolled the highest percentage of black first-year students in the Ivy League. Since 2004 the percentage of blacks in the freshman class at Columbia has increased from 6.8 percent to 12.1 percent. There were 90 black freshmen at Columbia in 2004. This year there are 162, an increase of 80 percent. Yale University ranked second among the eight Ivy League colleges. Ten percent of the freshman class at Yale is black. Blacks make up more than 9 percent of all first-year students at the University of Pennsylvania and Dartmouth College. For the first time in recent memory, Harvard University is in the bottom half of the Ivy League rankings of the percentage of black freshmen. This year, 8.4 percent of the freshman class at Harvard is black. Cornell University, once again, has the lowest percentage of black freshmen. Despite considerable progress earlier in this decade, the number of black freshmen has dropped in each of the past two years. In 2006 there were 192 black first-year students at Cornell. This year there are 142, a drop of 26 percent in just two years. International tennis player Serena Williams (pictured with Kenya’s education minister Sam Ongeri) cuts the ribbon at the Serena Williams Secondary School in Matooni, Kenya on Friday afternoon. Built through a partnership between the Build African Schools initiative and Hewlett Packard, the school is designed to empower African students through education. “We are indeed honored to have Ms Williams visit Kenya at this momentous time in American history when we have a new President elect who has roots in Kenya,” said Mr Dickson Mutaiti, the Director of Projects Build African Schools in Kenya. As I sat watching Michelle Obama on my computer giving her “Be Not Afraid’ speech in Iowa, chills ran through my body. She spoke with such strength, eloquence and compassion about not giving in to fear that I felt truly moved. I made everyone in my household listen. If you have not heard it, you should watch and listen. It also made me believe even more in her husband - a young man named Barack Obama who at that time was still pretty new to most Americans. Michelle Obama speaks often about strong women and she herself is an excellent example. As The First Lady, she is perhaps the closest the United States has to a queen. Although our history books are filled with stories of great men who are leaders, we have been remiss in giving coverage to great women leaders, with the exception of a few in Europe such as England’s Queen Elizabeth I and Victoria and Russia’s Catherine the Great. There have been many women all over the world who helped to shape their country. I am certain that Michelle Obama will be one of them. In another speech to women voters for Obama in New Mexico, Michelle Obama stated, women had been a great part of the campaign because “women get things done.” When she said that, it reminded me of another African Queen that I had read about who later became a Pharaoh – Hatshepsut. I became intrigued when I first learned about Hatshepsut about 25 years ago, when I was doing research for an African history lesson. I learned that Hatshepsut was a great woman – a King – a Pharaoh who helped to shape her country during her time. Hatshepsut ascended the throne in Egypt, in about 1473 B. C and became the Pharaoh, believed by the Egyptians to be a link between the gods and mankind. Thus, she became the Horus Wosretkaw, Golden Horus Netjeret – khau, Two Ladies Wadjet-renput, Daughter of Re Maatkare, Lady of the Two Lands, King of Upper and Lower Egypt, Hatshepsut-united-with-Amun - a physical child of the sun-God Re. Amun of Thebes was the principal god of Egypt and thought to be the creator of the universe. Hatshepsut had many accomplishments during her reign, but she is remembered more because of her attire. To conform to Egypt’s long held tradition of men ruling as King’s, she wore men’s clothing, a beard and was always depicted as a male king. An extraordinary woman and leader, during her reign, “she got things done.” She was not the first female Pharaoh, but according to many historians, she was the most important in terms of her influence on the Egyptian culture. She was responsible for the reunification of Upper and Lower Egypt. There were no wars during her twenty year reign and because of this, people were able to spend time developing art and architecture. New forms of art were discovered that influenced later generations. The obelisk was developed during this time and the design was actually copied to make the Washington Monument. Her reign was also the longest of any female Pharaoh; and she was greatly loved. She established trade routes in other lands as she became the first oceanographer travelling to places like the eastern Mediterranean and the Aegean Sea. However, she did have enemies. Her mysterious death has puzzled historians for years. Some say that her co-ruler had her killed and ordered her name and images destroyed. New evidence has come forth now proving who she was as women in power have garnered more respect. I think that every child should know about Hatshepsut, especially our girls. That is why I incorporated her story in my children’s story book, Aisha’s Crowning Glory. It is important that our children have strong male and female role models. I believe our girls need to have as many positive images as possible to counter many of the negative images that they see in the media. Presently, Michelle Obama is certainly a role model for all of us. Standing on stages in large and small cities across the country, she garners love and respect with her eloquence, striking intellect and beauty. This country is just beginning to allow women to rise in their careers and compete with men. Under the new presidency, perhaps women will earn the same pay and the same place in our history books. At the same time, “Aisha’s Crowning Glory”tells our young girls that they are beautiful, they have a proud history, they must believe in themselves, work hard and they can be anything they want to be. For further reading about Hatshepsut read, From Queen to Pharaoh, Hatshepsut, published by the Metropolitan Museum of Art, New York. (BLACK PR WIRE/TodaysDrum.com) (November 11, 2008) African Americans have maintained a rich history of giving and philanthropy from as early as the eighteenth century. And we have every right to be proud of our efforts. By donating our time and resources to a variety of philanthropic organizations and causes, we have made a significant difference. Although giving has been a part of living since the eighteenth century, recent years have seen a variety of new opportunities for African American giving, according to www.philanthropy.org. These include mainstream community foundations that reach out to black donors, federations of African American charities, and corporations that promote volunteerism and agree to fund projects in our communities. In fact, corporations are facilitating African American philanthropy by establishing relationships with mainstream and alternative foundations for payroll-deduction programs. The AT&T Foundation, for example, was created in 1984 to help extend the reach of its employees' community involvement efforts by matching employee contributions to educational and cultural organizations and by providing grants to recognize employee volunteer efforts. In 1998 and 1999, AT&T's total contributions amounted to over $123 million in cash and product donations, of which $82 million came directly from the AT&T Foundation. It is because of outstanding corporations such as AT&T, as well as a number of prominent African American entertainers and athletes like Oprah Winfrey, Bill and Camille Cosby, and Michael Jordan, who have encouraged others to give as well. Tiger Woods went as far as to establish a foundation, while NBA athlete Alonzo Mourning sponsors annual charity events to raise funds for non-profit organizations in the South Florida community. From corporations to entertainers to affluent African Americans around the nation, people really have a keen desire to give back and help those in need. It is ingrained in us that giving should always be a part of living. As a result, we can expect African American philanthropy to continue to make a difference today and forever more. OneUnited Bank is the first Black-owned internet bank, the first Black-owned interstate bank and the largest Black-owned and managed bank in the country with offices in urban communities of California, Florida and Massachusetts. Its mission is to provide affordable financial services to support economic development in urban communities and maintain superior financial performance to maximize shareholder value. The Bank's operations consist primarily of originating and purchasing mortgage loans - with a focus on urban and low-to-moderate income communities - and funding that activity with the gathering of affordable FDIC insured deposits. The Bank supplements mortgage lending activities with additional interest-earning assets such as United States Government Agency securities and mortgage-backed securities and funding sources such as advances from the Federal Home Loan Bank of Boston. The Bank generates fee income on deposit and loan accounts and, depending on market conditions, net gains on sales of securities and loans. The level of its expenses such as salaries and benefits, occupancy and equipment costs, other general and administrative expenses and income tax expense further affects the Bank's net income. The Bank's mission is to achieve superior financial performance. The Bank began almost 50 year ago with the opening of Unity Bank & Trust in Boston, Massachusetts. OneUnited Bank was established by combining Black-owned banks across the country with the same mission -Founders National Bank of Commerce in Los Angeles, Family Savings Bank in Los Angeles, Peoples National Bank of Commerce in Miami and Boston Bank of Commerce (the predecessor to OneUnited Bank) - to create the fastest growing and premier bank in America serving urban communities. OneUnited Bank plans to continue to expand its branch network by acquiring financial services companies that share its mission and opening new or de novo branches and stand-alone automated teller machine centers in urban communities. OneUnited Bank introduced its internet branch in February 2006 to attract customers nationwide who support its mission. The OneUnited Bank vision is to unite urban communities across America and build wealth. As an FDIC insured institution, with state-of-the-art technology, a dedicated and experienced branch staff and loan officers who know customers by name, with over a half a billion dollars in assets and locations from coast-to-coast, the Bank is ready to serve. Free membership for senior citizens 65 and over and youth 18 and under! For more information, see OneUnited Bank Truth In Savings Disclosures in our branches or online for Internet Membership and Internet Products. Become a Member of OneUnited Bank and choose the Membership type to best meet your needs. Our Membership Program offers packages of unique checking, savings and money market accounts that are affordable and convenient. Rapper Rev. Run and RunAthletics have teamed with Scion to bring sneaker aficionados together in New York during a benefit event for Soles4Souls. Soles4Souls is a non-profit organization that donates footwear to underprivileged children and adults. The event takes place at Ultra Nightclub in Manhattan’s Flatiron District. In order to gain access to the exclusive benefit event, attendees are asked to donate two pairs of shoes of any style and gender. All of the shoes will be donated to the struggling men and women in Darfur, Africa. The event, which features DJ Mel DeBarge on the wheels of steel, takes place tonight (October 23) from 6-8:30 PM. Rev. Run launched Run Athletics in the fall of 2003, with his brother, Hip-Hop mogul Russell Simmons. Run is also the star of MTV’s hit reality show Run’s House, which is now in its fifth season. South Africa is at the forefront of the development of new solar power technology that will offer consumers a cheaper and highly efficient alternative to standard solar panels. The breakthrough technology is the result of over 13 years of research by the University of Johannesburg's Professor Vivian Alberts. His solar panels are made from a unique metal alloy that converts light into energy at a fraction of the usual cost. Unlike standard solar panels that contain a 350 micron thick silicon layer, Alberts' panels make use of copper, indium, gallium, sulphur and selenium. The result is a revolutionary thin panel, approximately five microns thick (a human hair is 20 microns thick), that can be sold at a dramatically lower cost. The elements used in Alberts' panel are all semiconductors making his technology far more effective in attracting heat. "The technology has proved itself in the pilot-plant phase, without a doubt," Alberts told Engineering News in 2005 when the breakthrough was first announced. Following his discovery, Alberts and the University of Johannesburg formed the company Photovoltaic Technology Intellectual Property in 2005 (PTIP). The company has since entered into agreements with a solar energy investor in Germany known as Johanna Solar Technology. Currently work is underway on the establishment of a purpose-built plant where the solar panels will be built. According to Engineering News, PTIP will be building a local manufacturing facility with South African investors that will produce 450 000 panels a year. The South African venture has earmarked a site in Paarl, in the Western Cape, for the local solar panel plant and the project is in the process of securing financing. October Gallery brings it's 23rd Annual Philadelphia International Art Expo back to the Liacouras Center this November. The Nation's largest African American Art Expo features over 200 artists from 45 states and 6 countries. The Philadelphia International Art Expo is an art expo of popular African American and world art like no other. It offers unique and unequaled opportunities to build a customer base, to network, to compare artistic talent and to engage in "the art of the deal". Actress Gabrielle Union traveled to Ghana recently as part of the Susan G. Komen for the Cure's mission delegation trip designed to help reduce the rate of breast cancer among women in the country. She also joined Ghana President John Kufuor for a dedication ceremony at the new HopeXchange Medical Center, a state-of-the-art breast cancer diagnostic and treatment facility in Kumasi. Nearly 70 percent of all Ghanaian women who have breast cancer don't see a doctor until the disease is in advanced stages. We spoke to Union about her trip abroad, how breast cancer has affected her own life, and why this issue is so important to her. ESSENCE.COM: What was this experience, traveling to Ghana as part of the Komen for the Cure delegation, like for you? GABRIELLE UNION: Traveling to Africa as an African-American, or just as an American, on the more "privileged" side of things is always an eye-opening, life-changing experience. It always puts everything in perspective for me. ESSENCE.COM: Did you encounter any breast cancer survivors in Ghana? What was that encounter like? UNION: I met at least 50-60 survivors, which was important because in Ghana, there are so many myths and rumors floating around saying that if you get breast cancer, your life is basically over. So it is important for women to see these survivors. Also, there are a lot of consequences for women in Ghana who are diagnosed with breast cancer. For instance, these women may have their husband leave them, their daughters may not be able to get married off, and they consider it a curse on the family. It's thought of as something you did wrong, so we always included survivors to show that if you do have breast cancer, you can beat it and you can live. ESSENCE.COM: You were there with President Kufuor when the HopeXchange Medical Center opened last week. How do you believe a facility like this will make a difference in these women's lives? UNION: We were able to tour the hospital prior to the celebration with President Kufuor. There are only two mammography machines for literally every 2 million patients. Overcrowding is the biggest understatement. I saw with my own eyes what they're dealing with at one of the major hospitals in Ghana and it was unbelievable. What we deal with in terms of health care in the U.S. pales in comparison to what people encounter around the world, especially in developing countries. It really put the importance of a hospital of this caliber into perspective for any patient who needs long-term care to treat conditions such as AIDS, malaria or breast cancer. The HopeXchange Medical Center will make a huge difference in these women's lives. ESSENCE.COM: How did you get involved with the Susan G. Komen for the Cure mission? The need to get the word out and help raise funds for research and treatment is definitely an urgent one. By going to Ghana and seeing firsthand that African women are suffering and dying at an alarming rate from the disease is terrible because I know if caught early, breast cancer is treatable and survivable. It just makes me want to help that much more. ESSENCE.COM: What are some of the issues you believe Ghanaian women face when it comes to receiving breast health and breast cancer care? UNION: The biggest thing is the lack of equipment needed to do things like mammograms, and there aren't enough trained technicians to get out there and help people in the rural communities. There are tons of women that live too far to get treatment. We need to get the word out about early detection. In Ghana and other developing countries, by the time these women get to the hospital, their cancer is so developed and the mortality rate is high. ESSENCE.COM: Why go all the way to Africa to help Black women affected by breast cancer? UNION: Part of my work with Susan G. Komen for the Cure is with the Circle of Promise, which works with Black women in the United States. But I realized that, surprisingly, much of the numbers and statistics for breast cancer in the U.S. are very similar to countries in Africa. If we really want to call ourselves a sisterhood or brotherhood, then we have to recognize the plight of the women in Africa is our plight as well. JERUSALEM (Reuters) - A new study shows that humans had the ability to make fire nearly 790,000 years ago, a skill that helped them migrate from Africa to Europe. By analyzing flints at an archaeological site on the bank of the river Jordan, researchers at Israel's Hebrew University discovered that early civilizations had learned to light fires, a turning point that allowed them to venture into unknown lands. A previous study of the site published in 2004 showed that man had been able to control fire -- for example transferring it by means of burning branches -- in that early time period. But researchers now say that ancient man could actually start fire, rather than relying on natural phenomena such as lightning. That independence helped promoted migration northward, they say. The new study, published in a recent edition of Quaternary Science Reviews, mapped 12 archaeological layers at Gesher Benot Yaaqov in northern Israel. "The new data shows there was a continued, controlled use of fire through many civilizations and that they were not dependent on natural fires," archaeologist Nira Alperson-Afil said on Sunday. While they did not find remnants of ancient matches or lighters, Alperson-Afil said the patterns of burned flint found in the same place throughout 12 civilizations was evidence of fire-making ability, though the methods used were unclear. And because the site is located in the Jordan valley -- a key route between Africa and Europe -- it provides evidence of the human migration, she said. "Once they mastered fire to protect themselves from predators and provide warmth and light, they were secure enough to move into and populate unfamiliar territory," Alperson-Afil said. Barack Hussein Obama was right. "Americans ... still believe in an America where anything is possible." And they have just proved it to the world by sweeping him into the White House on a bright glittering wave of youthful energy, idealism, hope and, yes, hard cash. They voted to break with George W. Bush's sorry legacy and to restore a nation's pride and self-confidence in what the charismatic Obama, echoing Martin Luther King, calls "the fierce urgency of now." They ushered in nothing less than a triple revolution spanning racial equality, political renewal and generational change. Americans yesterday reshaped their very history, born in freedom and slavery, by electing their first black president, in a gesture of reconciliation and redress that left many weeping with joy – and relief. In handing not only the White House but also Congress to the Democrats, they also rebuffed the powerful Republican neo-conservative ideology that has dominated their political life since Ronald Reagan first won election back in 1980. Bush's serial incompetency has badly discredited an ideology that was notable for its indifference to the United Nations and its preference for hawkish unilateralism; its conviction that small government, unbridled markets and tax cuts are the answers to every problem; and its massive defence spending. And, of course, Obama's victory marks a generational break from the long-dominant Boomer generation. Never again will a politician admit, as John McCain did, that he or she can't use a computer. And, importantly for Americans, Obama is of the post-Vietnam generation. That means the sterile old debate about where politicians stood – for or against the war, with anti-war activist Jane Fonda or not – has now become a relic of the past. This was America's resounding reply to Obama's call 48 hours before the vote: "I ask you to believe, not just in my ability to bring about change, but in yours." Yesterday Americans celebrated themselves, as an admiring world looked on. For McCain, the decent old Republican warrior, defeat is bitter but not shameful. Americans craved change after Bush's reckless imperial presidency, and the damage he did to U.S. interests by invading Iraq on a lie and by throwing legal rights to the winds. They recoiled from his careless governance that allowed New Orleans to sink and the Wall Street credit crisis to go viral. From the start, the campaign was the Democrats' to lose, even though Obama arrives in the Oval Office with one of the thinnest résumés in presidential history. While most Canadians cheered for Obama over McCain, Prime Minister Stephen Harper may have less reason to celebrate. In Bush, Harper had an ally on such issues as the Middle East, free trade and go-slow efforts to curb climate change. Under Obama, the United States may tilt in very different directions. Democrats likely will push for protectionism and a "thicker" border that impedes the flow of people, goods and services. Harper may face pressure, as well, to keep troops in Afghanistan past our 2011 exit date. But Canadian concerns were the last thing on U.S. minds yesterday. Obama's historic win, and the Democrat majority in Congress, may not be "bigger than life itself," as Deddrick Battle, an African-American janitor, told the New York Times. But it is very big. Ever the optimists, Americans are realizing part of Martin Luther King's dream, healing their collective hurt, affirming their multicultural identity, rejuvenating their politics and leavening governance with compassion. 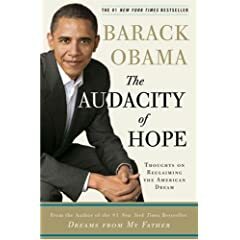 How far Obama can meet the dizzy expectations he fanned during the $2 billion race for the presidency is another matter. At root, his instincts both in terms of American domestic and foreign policy are more Main Street than revolutionary. He has no magic formula to heal a slumping U.S. economy and make good on $1 trillion in promised tax cuts and new spending, much less to improve America's image abroad by successfully concluding wars in Afghanistan and Iraq, exorcising Islamist extremism and 9/11 terror, weaning the U.S. from its Mideast oil addiction, containing Iran's nuclear ambitions or cooling a warming planet. It will all be a hard slog. And from day one he will face painful choices: How much tax relief and spending can the nation's broken budget absorb? How much mortgage relief? How much for health care, education, infrastructure, green initiatives? And how far does he dare disappoint? "They said our sights were set too high," Obama often said during the campaign. They were wrong, about his winning the presidency at least. Obama's task now, as the 44th president, will be to prove them wrong about his agenda, too. Throughout her long life as a writer, activist, and lecturer, she was a powerful advocate for racial justice and women's rights in America and abroad. This journalist and social worker believed passionately in racial equality and was a founder of the National Association for the Advancement of Colored People (NAACP). He was the first black attorney licensed in West Virginia; in two landmark cases before his state's Supreme Court, he attacked racial discrimination in education. Because coverage of blacks in the media tended to be negative, he endowed the prestigious Spingarn Medal, awarded annually since 1915, to highlight black achievement. He was one of the founders of the National Association for the Advancement of Colored People (NAACP) and wrote the "Call" leading to its formation. She mentored nine black students who enrolled at all-white Central High School in Little Rock, AR, in 1957; the students used her home as an organizational hub. This lawyer and educator was a main architect of the civil rights movement. He believed in using laws to better the lives of underprivileged citizens. Blue eyes and a fair complexion enabled this leader of the National Association for the Advancement of Colored People (NAACP) to make daring undercover investigations. He served with distinction as an official of the National Association for the Advancement of Colored People (NAACP) in Mississippi until his assassination in 1963. She was a Mississippi sharecropper who fought for black voting rights and spoke for many when she said, I'm sick and tired of being sick and tired. Her lifetime of activism made her a skillful organizer. She encouraged women and young people to assume positions of leadership in the civil rights movement. As a courageous and capable official with the National Association for the Advancement of Colored People (NAACP), she did difficult, dangerous work in the South. Art director Ethel Kessler and stamp designer Greg Berger chose to approach this project through photographic montage. Pairing two pioneers in each stamp was a way of intensifying the montage effect. Scheduled issue date: Feb. 12 in New York, NY. Kanye West's people released a statement late on Monday encouraging mourners to make a donation to the Kayne West Foundation, a non-profit organization that Donda chaired, rather than sending flowers. “Kanye West, his family and friends would like to thank everyone for the outpouring of support and kind words that have come in from across the country since the death of his mother, Dr. Donda West. After working in higher education for 31 years, Dr. Donda West and Kanye West co-founded the Kanye West Foundation with the mission of helping to combat the severe dropout problem in high schools across the country. The first and signature initiative of the Kanye West Foundation is Loop Dreams. Designed to capitalize on students existing interest in hip-hop, Loop Dreams challenges students to learn more about what’s behind hip-hop culture in order to help them develop skills, express themselves creatively and be empowered. Around the Gulf Coast region residents return home to rebuild as power and other services are slowly restored. NEW YORK - Sean “Diddy” Combs and Jay-Z have pledged $1 million to the American Red Cross to help victims of Hurricane Katrina. The two rappers announced their donation Thursday, saying they hoped to inspire others, especially blacks, to give. Jay-Z said he had put in calls to NBA star LeBron James and rapper Kanye West for donations. Also on Thursday, Celine Dion and the partners of her Las Vegas show, “A New Day” — companies Concerts West/AEG Live and Dragone — pledged a $1 million donation to the Red Cross Disaster Relief Fund. "There's nothing like spittin' off the same page," claimed the duo, who between them, have sold more than 7 million albums. The new disc is set to feature guest appearances by a host of stellar hip-hop artists including Fat Joe, Lil Jon, T-Pain and Rick Ross, as well as showcasing the talent of production masters Swizz Beats and Scott Storch, among others. Birdman and Lil Wayne have often appeared on each other’s solo releases, but never before have they released a full-length album together. Their Like Father Like Son collaboration marks yet another historical milestone proffered by the prolific Cash Money imprint, the New Orleans hip-hop empire which launched in 1991 and is responsible for a diverse array of best selling artists. Most recently, Lil Wayne garnered platinum-plus status for his across-the-board smash album Tha Carter II, his fifth solo album (and second platinum release). Lil Wayne recently was honored with an MTV “Sucker Free MC Of The Year” nomination, with viewers ultimately voting to crown the winner. The tireless star also recently wrapped production on the video for his latest single, “Shooter” featuring Robin Thicke. The New York Times recently raved about Lil Wayne's performance with Thicke (son of TV entertainer Alan Thicke) on 'The Tonight show With Jay Leno," citing Wayne's penchant for mixing it up with the crooner and his song "Oh Shooter," as genre-defying 'cross-under' promotion genius. Hip-hop mogul/artist Birdman is coming off his pivotal 2005 release, Fast Money, his second solo effort, featuring the radio staples “Get Your Shine On” and “Neck Of The Woods,” both of which featured Lil Wayne. Birdman’s signature rap style and on-point business acumen has made him a legend both behind the microphone and behind the scenes, as him and his brother Ronald "Slim" Williams have guided Cash Money from a start-up hip-hop imprint more than 15 years ago, to a 30 million-plus selling global empire known around the globe. The enterprising mogul has managed to stay true to the principles of the street while nurturing a myriad of successful commercial endeavors, including a successful footwear collection in a venture with Lugz, narrating a popular video game, Midnight Club 3: Dub Edition from Rockstar Games, and making his feature film debut in the 2005 movie Beauty Shop. Like Father Like Son kicks off yet another chapter in the amazing Cash Money story, and will cement Baby and Lil Wayne’s position as bona fide cross-cultural superstars, to be reckoned with. The Cash Money Records CEOs have a history of giving back to their community. Each year including last year, they have held their Annual Turkey Give Away for needy families in their native city of New Orleans. Displaced after Hurricane Katrina, the Williams brothers have adopted Miami as their new home base.